First established in 1897, University of Sheffield is a world-class university located in the city where students enjoy a thriving, cultural city with a reputation for being the fourth most cost-effective place to study in the UK (Natwest Student Living Index, 2015). 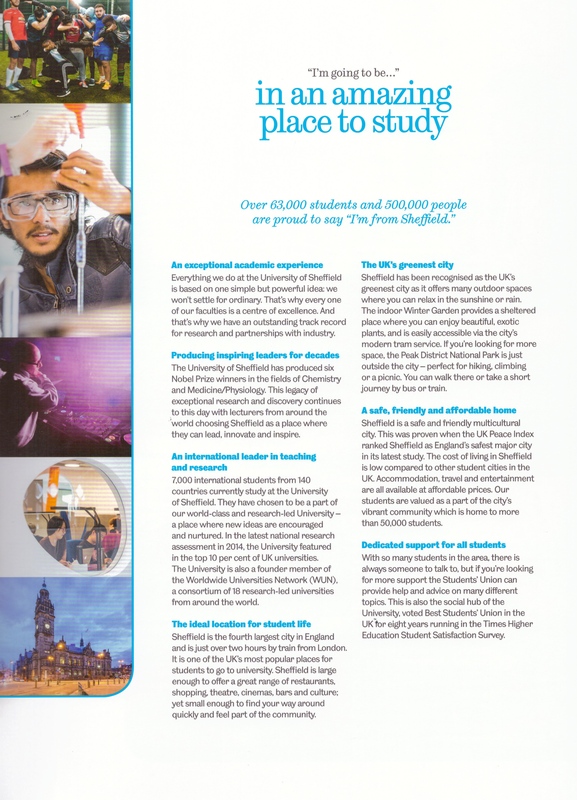 A member of the Russell Group of leading UK research universities, the University has constantly shown outstanding performance for excellent teaching and research and results from 2014 Research Excellence Framework placed University of Sheffield in the top 10% of all UK universities, confirming its place as a world-leading university. 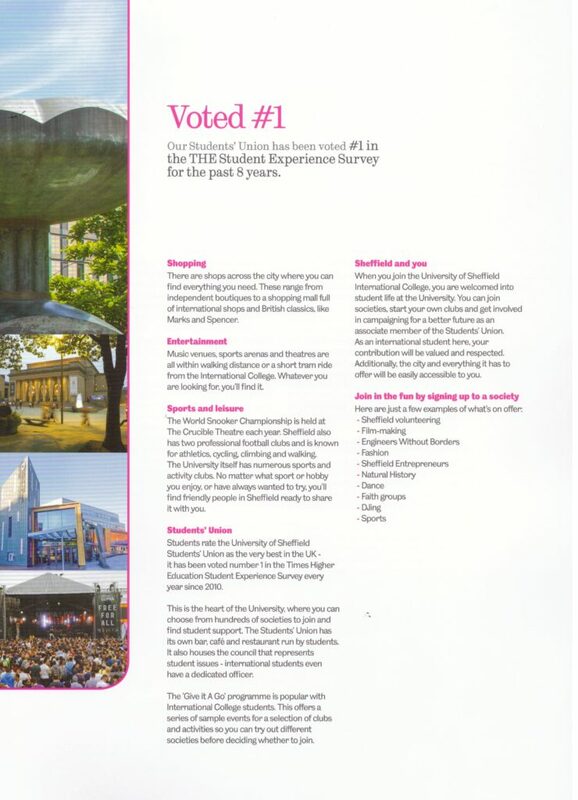 University of Sheffield has been described as one of the powerhouses of British higher education by The Times. The University is rated 80th in the world in the 2015 QS World University Rankings. The University is ranked 15th in the UK and 97th in the world according to the 2015-2016 Times Higher Education World University rankings, a rise of 24 and 3 places respectively. Similarly, it is placed at number 40 out of 200 universities in Europe. In 2011, the University was named “University of the Year” in the Times Higher Education awards. Academically, the University’s strengths lie in Architecture (5th), Civil Engineering (7th), Communication & Media Studies (1st), Linguistics (7th), Materials Technology (9th), Ophthalmic (6th), Politics (12th) and Town & Country Planning and Landscape Design (6th).